Sometimes I tell my boys that they have no idea how lucky they are, and they really don’t. There are so many cool things now that we just didn’t have when I was a kid. Take Launch Trampoline Park for example. There was no such thing as a trampoline park back in the 90’s. If we wanted to jump on a trampoline, we had to beg our parents to buy one. Speaking of Launch Trampoline Park, my boys get so excited whenever I tell them we are going there. Did you know that Launch RI just got a major upgrade? It’s not just a trampoline park anymore. Of course they still have trampolines, but now they have a bunch of seriously awesome attractions (a Ninja Warrior Course, Extreme Dodgeball and Laser Tag to name a few). Like me, I know most of you are busy moms and being as busy as we are, sometimes we just need to get away. Sadly, a trip to warm tropical destinations is not always in the cards, but a staycation can be just what we need. 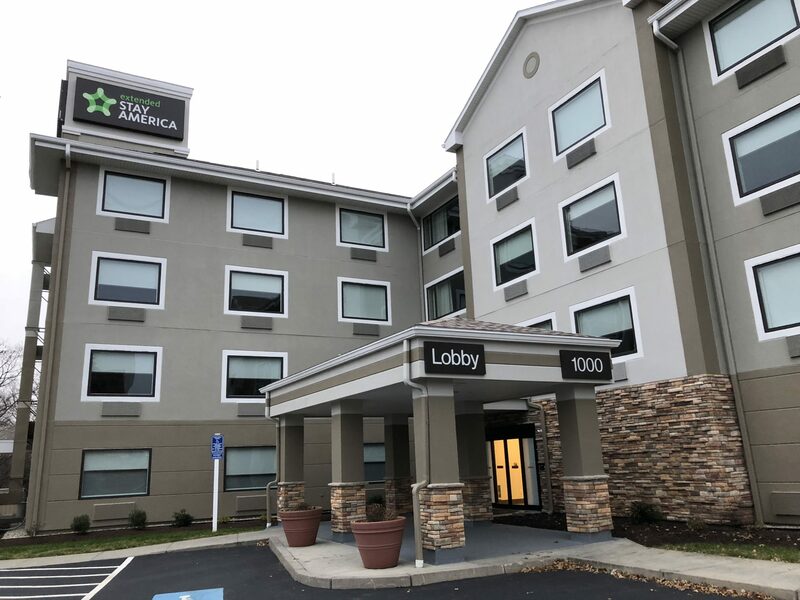 Recently my husband and I had a chance to do just that – take a little staycation – at Extended Stay America in East Providence, Rhode Island. Yes, I live in Massachusetts, but this hotel is only about 30 minutes from me. This hotel is in a great location and there’s a ton of things to do in that area, so I was thrilled about the weekend away. 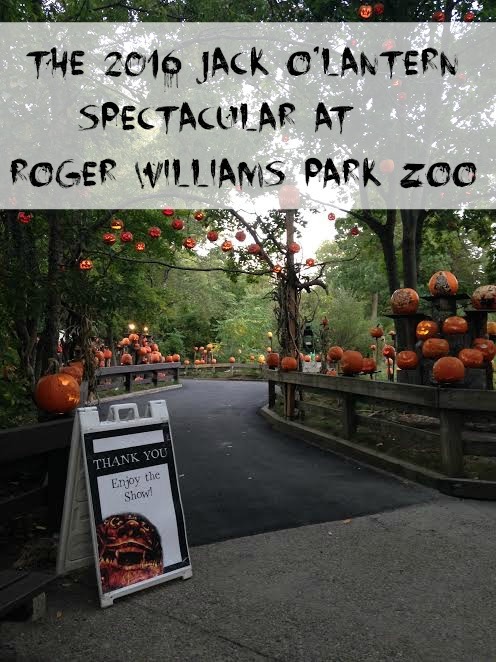 It’s that time of year again…..Time for the Jack O’Lantern Spectacular at Roger Williams Park Zoo that is. The Jack O’Lantern Spectacular is a nighttime display of 5,000 illuminated jack-o-lanterns all along the zoo’s beautiful Wetlands Trail. There’s something magical about so many illuminated Jack O’Lanterns on display as you walk along the trail and it is running from October 5th through November 5th this year. Looking for something inexpensive to do with your bored children in Rhode Island? We have a few school vacations coming up and if your kids are anything like my son, they are always “bored”. The unfortunate thing is that most of us are not independently wealthy, so we sometimes must get creative with finding things to entertain them. Cue the Mr. 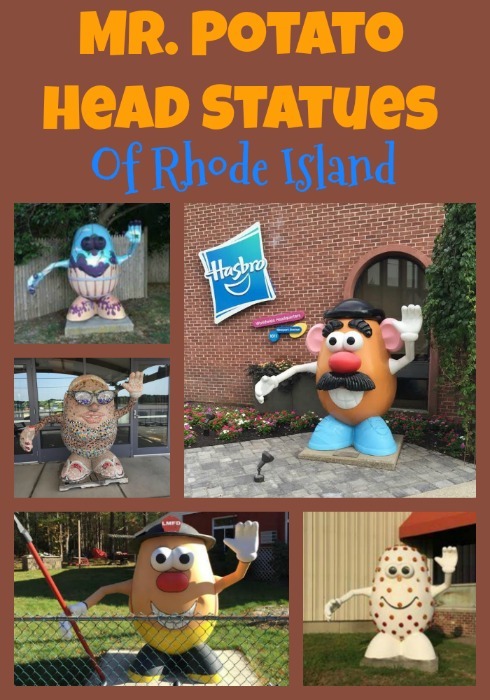 Potato Head statues located throughout Rhode Island. 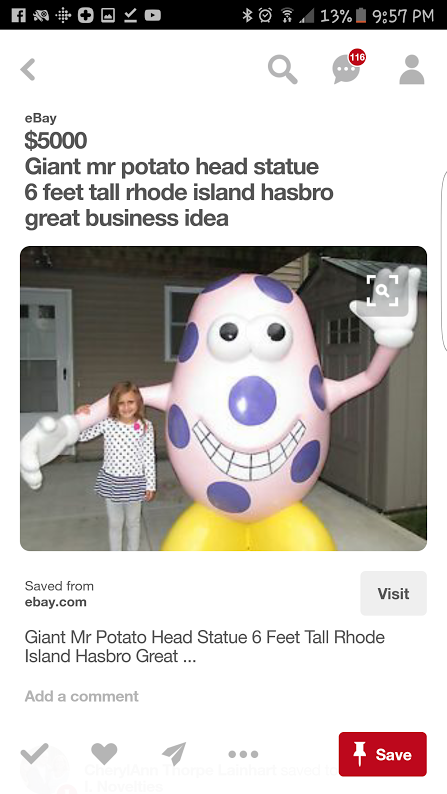 Rhode Island is the home of Hasbro and Mr. Potato head. In 2000, the state decided that they needed to boost tourism and chose Mr. Potato Head as their “travel ambassador”. The result was a whole lot of 6-foot fiberglass statues (some reports say 37, others say it was closer to 45) decorated buy artists and placed around the state. They were met with mixed reactions and now, 17 years later, there are only a handful left in the state. Rumor has it that there is one in Virginia and a few others are owned privately. One was even for sale on EBay for a mere $5,000, but I digress. 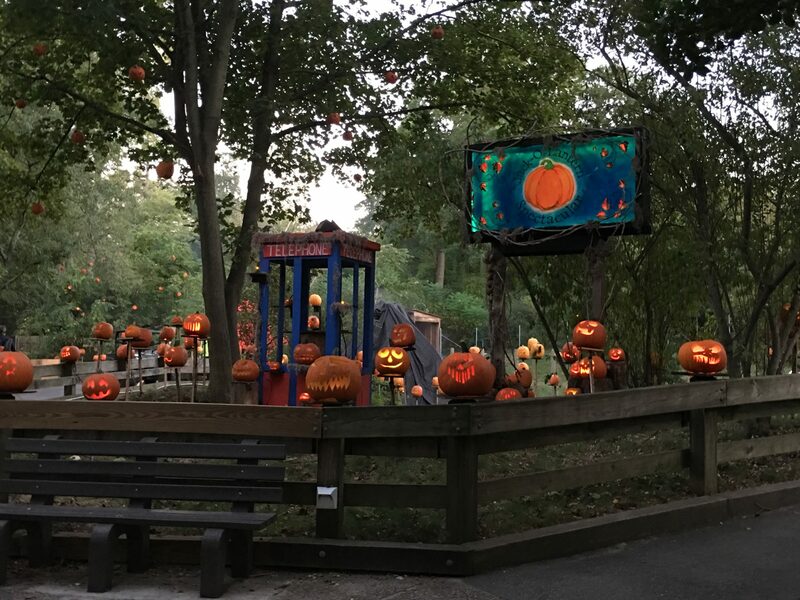 If you are local to New England, surely you’ve been to – or at least heard of the Jack-O-Lantern Spectacular at Roger Williams Park Zoo. It’s an annual tradition for our family to attend as well as thousands of others each year. If you’ve never been, you’re missing out because it’s really something to see. 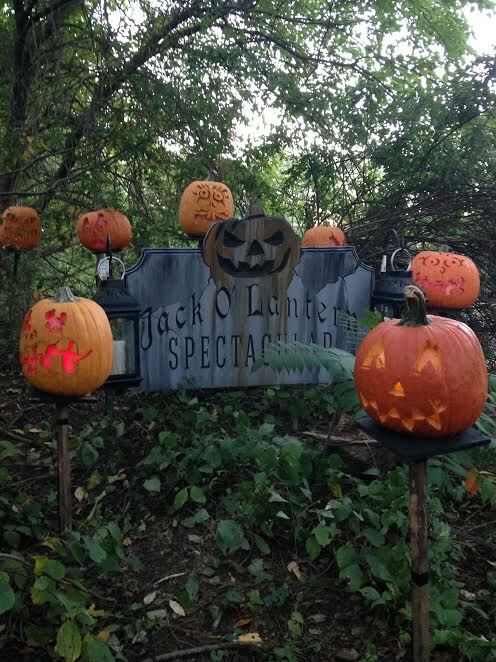 The Jack O’Lantern Spectacular is a nighttime display of 5,000 illuminated jack-o-lanterns all along the zoo’s beautiful Wetlands Trail, with well over 100 of the pumpkins carved into veritable works of art. There’s something magical about so many illuminated jack o’lanterns on display as you walk along the trail. This year The Jack-O-Lantern Spectacular is presented by Citizens Bank and it runs from October 6 – November 6, 2016. If you are a regular around here, you already know that I am always on the go & I am always on the hunt for new ways to keep my family – especially the boys, entertained. Recently the four of us had a chance to check out The Great Escape Room in Providence, RI and not to give too much away right off the bat, we LOVED it. 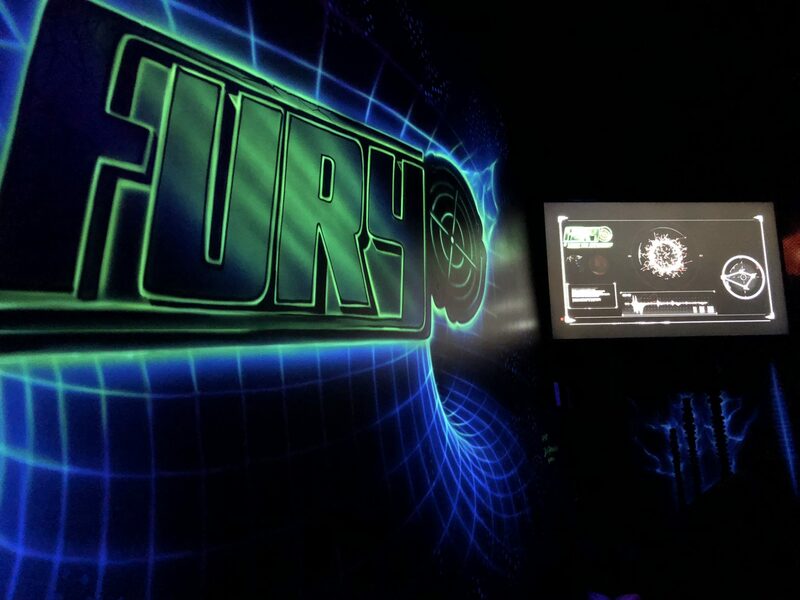 You’ve probably noticed that escape rooms seem to be popping up more and more & I have been curious for a while now to check one out to see what all the buzz is about. I have never done anything like this before, so I honestly had no idea what to expect. 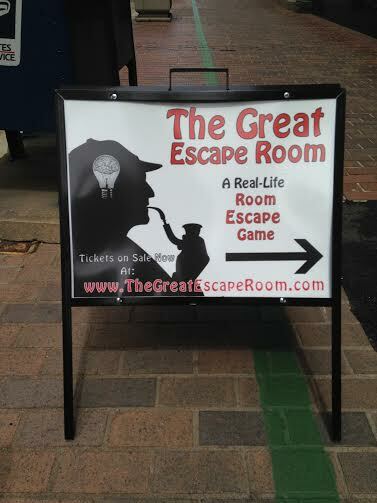 Let me just say that our experience at the Great Escape Room far exceeded my expectations. For great food and atmosphere, the Skiff Bar in Newport, RI is the place to be. 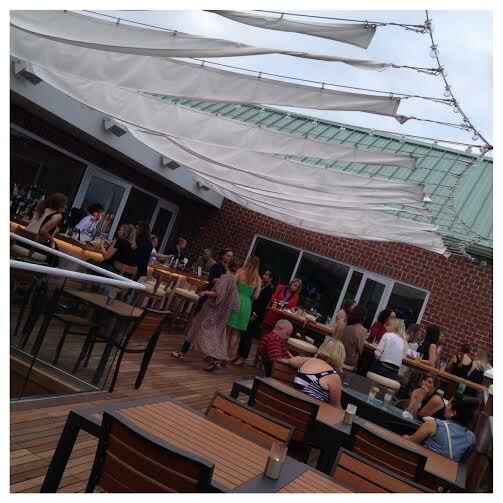 Located inside the Newport Marriott, the Skiff Bar is quickly becoming one of Newport’s most popular hangouts. 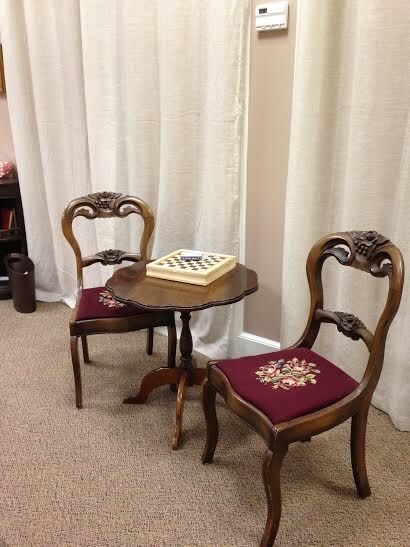 Many of you know that my husband and I are frequent visitors to Newport. We’re there several times a month (or more) and really enjoy spending time in the seaside community. We love everything about Newport. The beaches, the history, the shopping, and especially the food. From what I gather (and I am only speaking from my own personal experience here), Newport seems to have a reputation as a pricey and sometimes even an exclusive place to eat out. Don’t get me wrong, there are plenty of casual restaurants throughout the city, but they seem to be a little harder to come by. When it comes to visiting Newport, there is something for everyone. Known as ‘The City by the Sea,’ whether you are visiting Newport for business, a romantic couples getaway or a family vacation, this seaside community will not let you down. From shopping, to sightseeing, to visiting museums to great restaurants – Newport has it all. I have visited Newport many times with my husband alone (we’re regulars at the Firehouse Theater for the Friday night Bits Players show), but we recently took the kids with us for a weekend in this lovely beach resort town. Before we left, I went armed with a plan. I wanted to make sure that I planned lots of fun activities to keep our family busy while we were there. 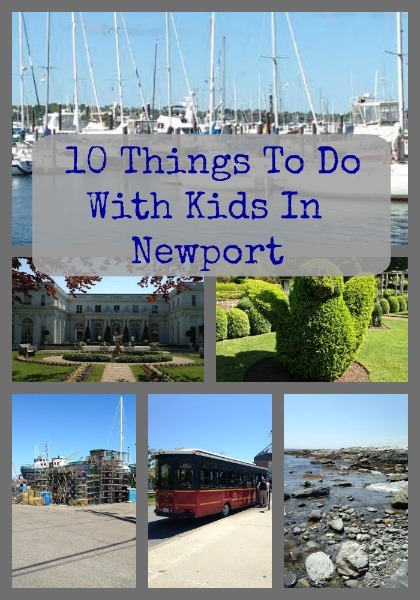 If you’re planning a trip to Newport with the kiddos, here are some things you may want to check out while you’re there. With summer in full swing here in New England, families may want to consider a trip to Newport, RI. 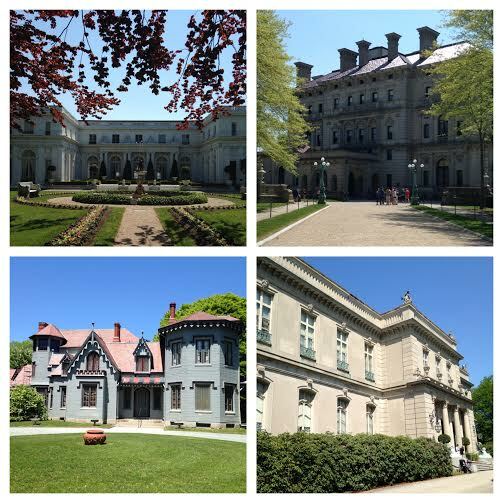 Amongst fabulous Gilded Age mansions, you will find that Newport is filled with many family-friendly attractions. My husband and I are not strangers to Newport, but we had never brought the kids along with us – until recently. Over Memorial Day weekend, the four of us had a lovely weekend in Newport and loved our stay at the Hotel Viking, which is located at One Bellevue Avenue in Newport, Rhode Island. At Hotel Viking you’ll find that they offer valet parking (for a small fee), a delightful on-site restaurant, a full-service spa, a fitness center, two ballrooms, boardrooms, private meeting spaces, an indoor pool, the historic Newport Kay Chapel and 209 guest rooms. The room we stayed in room had two queen beds and the four of us were comfortable there for our two night stay. The room includes a gourmet honor basket filled with a variety of snacks , a mini fridge (stocked with an honor bar and also including items such as water and soda), a Flat screen LCD TV, Keurig coffee maker with a variety of coffees, an iron & ironing board, an in-room safe, hairdryer, and desk. There is free wi-fi available at Hotel Viking and you can get the password from the folks at the front desk. **Disclosure: My family was invited to Bonefish Grill to experience their Sunday Brunch at no charge in order to facilitate this post. All opinions expressed here are strictly my own and were not influenced in any way. There is something special about going to brunch on a Sunday, isn’t there? Growing up, my parents took my sister, brother and myself out to breakfast or brunch every single Sunday and it was always something that the whole family looked forward to. To be honest, I have totally slacked on keeping that tradition alive with my own children, so when I get the chance to indulge in breakfast foods, I take full advantage. So when the opportunity to go to Sunday brunch at Bonefish Grill came up recently, I was excited to try it out. I had never been there and was excited to see what they had to offer. Brunch at Bonefish is only available on Sundays, but believe me when I say that it will probably be the highlight of your week. 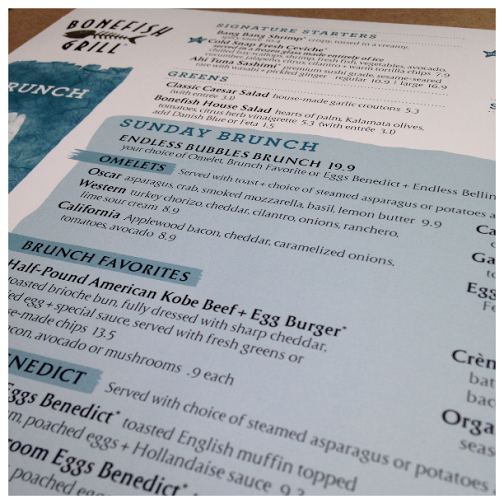 Bonefish Grill serves brunch from 10 am until 2 pm every Sunday! The gruesome twosome are very active little boys. Some days they go non-stop from the time they wake up in the morning until the time they go to bed at night. I was super excited to take them to Sky Zone, an indoor trampoline park, in East Providence this past weekend so they could burn off a little extra energy. Before we ever left the house to head to Sky Zone, I filled out a liability waiver on their website. All jumpers under the age of 18 are required to have one on file. It only took a minute to fill out and it’s good for an entire year. Don’t worry if you can’t get one filled out ahead of time, either, because you can fill one out there. It just saves a little time to do it ahead of time. On Mother’s Day, Chris and I decided to take the gruesome twosome for a walk along one of Newport’s most famous attractions – The Cliff Walk. 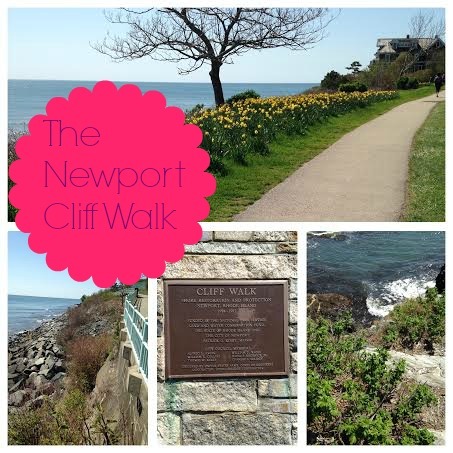 The Cliff Walk is a 3.5 mile path along the gorgeous coastline of Newport, RI. The Cliff Walk runs behind several of the Newport Mansions and it’s an absolutely gorgeous place to go for a walk. My family are regulars at Roger Williams Zoo in Providence. We have had a membership there since my oldest was two years old (that’s seven years for those of you who are keeping track). 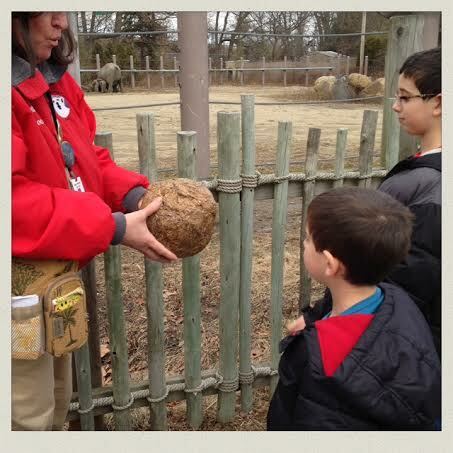 Sometimes, depending on the day, there are docents (volunteers) around the zoo that help to teach guests about the animals there. On our last visit, which was about two weeks ago, we ran into a docent over by the elephant exhibit that was holding something that looked quite interesting. Sure enough it was elephant poop. Yesterday, I told you all about our adventures on Wickenden Street in Providence. Wickenden Street has numerous independent shops, art galleries, cafes and restaurants that are popular among local artists, professors and students. Among the shops on Wickenden Street are a few antique stores. 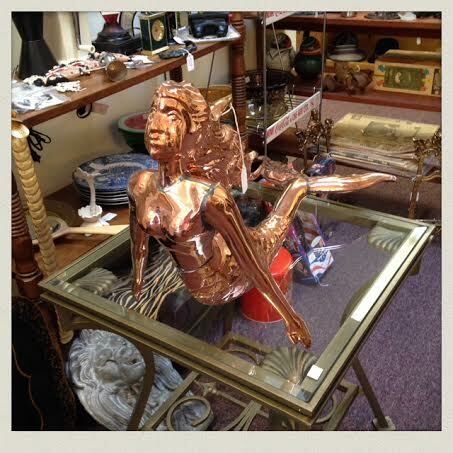 Chris and I get a kick out of antiquing sometimes, so we stopped into one of them while we were down there. As soon as we got into the store, I walked right into this little beauty. I have no idea what anyone would do with that hideous thing, but frankly, she kind of creeped me out, so I moved on quickly and didn’t look back. Last week, Chris had a day off from work and since the kids were at school, we decided to head down to a trendy, artsy little neighborhood down in Providence, RI called Wickenden Street. I actually haven’t been to that section of the city in ages, but what you need to know is that Wickenden Street has numerous independent shops, art galleries, a farmer’s market, coffee shops and restaurants that are popular among local artists and students. Wickenden Street is nestled in between Brown University, RISD and the Moses Brown School, so it’s pretty happening there. Our first stop of the day was Willy’s, which is part coffee shop part organic market. It was a little strange to be honest, but we hungry, so we went in. A couple of weekends ago, Chris & I took the boys to a Providence Bruins game. The P-Bruins are the AHL team for the Boston Bruins and they played the Wilkes-Barre/Scranton Penguins the day we went. Yesterday I told you all about our day at the Rhode Island Comic Con. We saw and did tons of stuff, but when we walked into this, I was GIDDY. I love Ghostbusters. Yup, that’s Ecto 1. The one from the movie.